I’d like no-obligation pricing on a hot tub for my dream backyard. 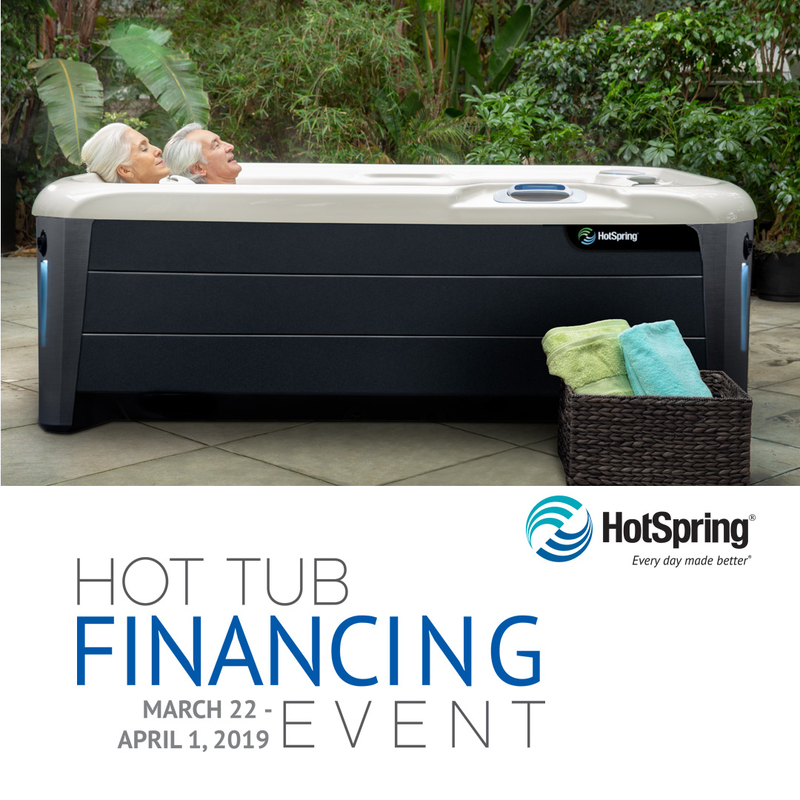 During the Hot Tub Financing Event (March 22-April 1, 2019), Hot Spring Spas offers special 0% APR financing* on all new Highlife or Limelight Collection spas. Now’s the time to own the world’s #1-selling hot tub brand! With low monthly payments on approved credit, it’s easy to step into a new hot tub from Hot Spring Spas today. *Terms and conditions apply. Subject to credit approval. usr for details.